in Florida. Image is courtesy of SpaceX. James Dean reports once again for Florida Today that the U.S. Air Force has opened a “polar corridor” that would allow certain rockets to launch spacecraft from Cape Canaveral into north-south orbits circling the poles — a development that could add more Florida-based launches to future schedules. Polar launches have historically been flown from Vandenberg Air Force Base on California’s Central Coast, where a small number of missions each year fly south over the Pacific Ocean toward Antarctica. 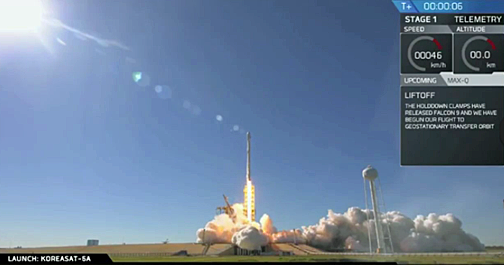 Cape launches most often head east to send satellites on their way around the equator. No near-term missions plan to use the new polar corridor, but over time, it could lead to more Cape launches and consolidation of the nation’s launch infrastructure. Both the military and commercial launchers could save money by no longer having to maintain and staff infrastructure sites on both coasts.